Why Does My Knee Pop When I Walk? Hearing occasional pops, snaps, and crackles in knees when you walking does not necessarily mean you have arthritis. Other joints may even make these noises once in a while, too. Nevertheless, the noises are common in those with arthritis. Medical professionals call this sound “crepitus” (KREP-ih-dus). This term usually describes the joints, but can be used to describe lung sounds too. This kind of arthritis generally impacts people over the age of 65. Also known as “wear and tear” arthritis, osteoarthritis frequently impacts the joints used frequently, such as the joints in the hands. It likewise affects weight-bearing joints such as the knees and hips. Mechanical stress or biochemical changes slowly break down the cartilage that cushions the joint, triggering inflammation and pain. Gradually, the cartilage is damaged and the bones grind together. When crepitus is accompanied by pain, it’s generally brought on by osteoarthritis. The meniscus is a piece of cartilage that supplies a cushion between your thigh (thighbone) and tibia (shinbone). There are two menisci in each knee joint. They can be harmed or torn during activities that put pressure on or rotate the knee joint. Taking a tough tackle on the football field or a sudden pivot on the basketball court can result in a meniscus tear. You may likewise experience a slipping or popping feeling during walking, which is typically an indication that a piece of cartilage has become loose and is obstructing the knee joint. Chondromalacia patellae, also called “runner’s knee,” is a condition where the cartilage on the undersurface of the patella (kneecap) degrades and softens. This condition prevails amongst young, athletic individuals, however may likewise occur in older adults who have arthritis of the knee. Chondromalacia patellae will normally provide as pain in the knee area, called patellofemoral pain. You might feel experiences of grinding or cracking when bending or extending your knee. Pain might intensify after sitting for an extended period of time or during activities that use severe pressure to your knees, such as representing an extended period or exercising. Patellofemoral syndrome is a condition that describes pain in the front of the knee and around the kneecap, referred to as the patella. 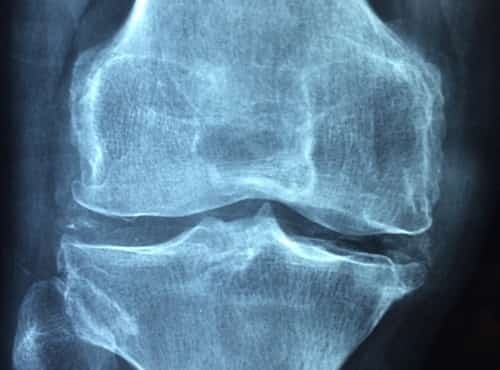 Physicians may likewise call patellofemoral syndrome “jumper’s knee” or “runner’s knee.” Common causes of the condition are overuse of the knee joint and injury, such as striking the kneecap or falling on it. Although the condition occurs more commonly in athletes, anybody can have the symptoms. Some people have a kneecap that abnormally tracks or moves in the groove at the end of the femur. This can cause extra pressure on the cartilage covering the kneecap or on the femur where it rubs, called the trochlear surface. The trademark symptom associated with patellofemoral syndrome is a dull, hurting pain that typically happens on the front of the knee. The pain might remain in one or both knees. It often aggravates with activity. Cracking or popping noises in the knee when walking, climbing up stairs or after sitting for a prolonged time. Crepitus is safe and requires no treatment when it’s painless and isn’t triggered by disease, injury, or another condition. But when pain accompanies a crispy knee, treatment will depend upon the underlying cause.